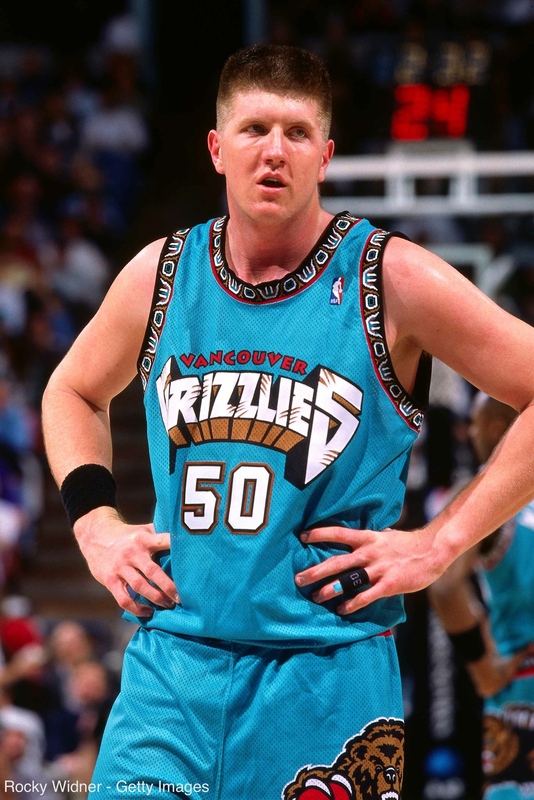 Bryant Reeves was a 7-foot tall professional basketball player who played for the Vancouver Grizzlies from 1995 until 2001. Before the NBA, he played for four years at Oklahoma State University, where he received the nickname “Big Country” by a college teammate after he was reportedly “amazed” following his first airplane flight across the U.S., having growing up in the small town of Gans, Oklahoma. Reeves played six seasons with the Grizzlies. In his rookie season, he averaged a solid 13.3 points per game. The following year, he averaged 16.2 points per game and landed a six-year, $61.8 million contract extension. He continued to improve during the next year, averaging 16.3 points, 7.9 rebounds, and 1.1 blocks per game. He even scored a career-high 41 points against the Boston Celtics. Unfortunately, the following season Reeves became plagued by various injuries that naturally arise from being his size. He struggled through injuries and back pain until eventually he could no longer be competitive in the NBA and decided to retire in 2001. Once Reeves retired, he didn’t become a coach, trainer, or a sports broadcaster. Instead, he basically went off-grid. Even his old teammates had a difficult time trying to reach him. Where had Big Country disappeared to? It turns out, as shown in this wonderful 43-minute documentary on YouTube, Reeves had simply moved back to his hometown of Gans, Oklahoma, bought a house, started his own ranch, and decided to raise a family. The documentary is shot from the perspective of diehard Vancouver Grizzlies fan Kat Jayme. Growing up, Kat loved the sport of basketball and frequently attended Grizzlies games with her family. Her favorite player was Reeves. Long story short, Kat is on a mission to find Reeves and interview him about his life post-NBA. She reaches out to ex-teammates, managers, and coaches that knew Reeves when he played, and eventually is able to track him down and interview him in Gans, Oklahoma. Reeves shows Kat around his house and his ranch. They even play a game of one-on-one, where the 7-foot tall Reeves hilariously matches up against the just over 5-foot tall Kat. 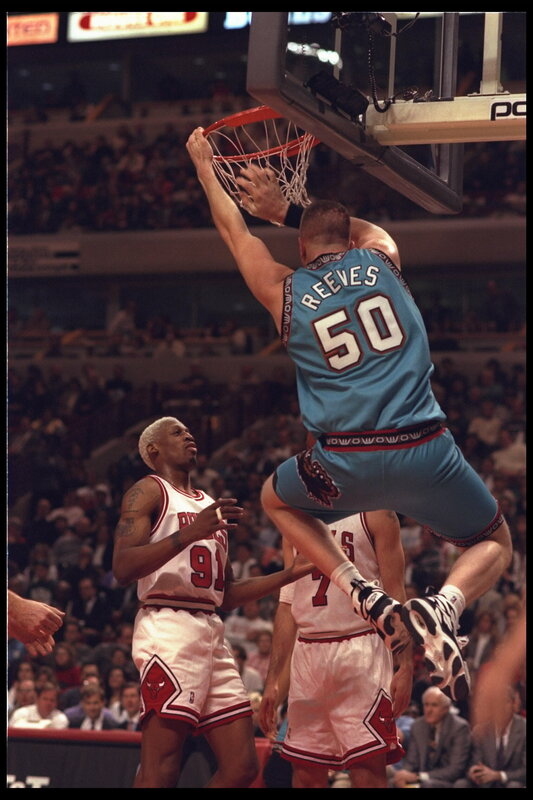 Bryant “Big Country” Reeves has mastered the art of defining enough. In an age where 60 percent of NBA players file for bankruptcy within five years of retirement, Reeves has been able to buck this trend, limit his lifestyle inflation, and use his earnings from the NBA to fuel a lifestyle that suits him well. I think we can all take a page from Big Country’s book: the point of financial independence is to buy yourself freedom over your time. With this freedom, you can spend time developing meaningful relationships and doing meaningful work, which ultimately form the foundation of a good life. It’s all about knowing what “enough” is…cool post, thanks for sharing! Exactly – defining “enough” is crucial. Glad you enjoyed this post! One point to note is that he likes being low profile. Such approach allows him to go about doing the things he likes on his term with the external influence.